Rimrock Corporation is based in Toronto, Ontario and is a Microsoft Dynamics consulting firm that specializes in simplifying the accounting software and CRM implementation process. As a Microsoft Gold Certified Partner, we work with organizations of all sizes and complexity to deliver the maximum ROI possible for each completed project. For more information, contact one of the experienced and friendly Microsoft Dynamics experts at Rimrock Corporation. Our mission is to transform client staff with productivity gains by presenting newfound access to tools and information that enable people to do their jobs more effectively, and with greater passion. What is the secret to our success? Our staff learn all they can about our clients' circumstances, and then we make recommendations and deliver on promises that best meet their needs. We learn our clients world, and we understand how important it is to deliver on their time and on their budget. Our services start with readiness engagements, followed by whatever we discover is needed including implementation, integration, training, support, or upgrade projects for Microsoft Dynamics GP, Microsoft Dynamics CRM, Microsoft FRx, and Microsoft Forecaster. 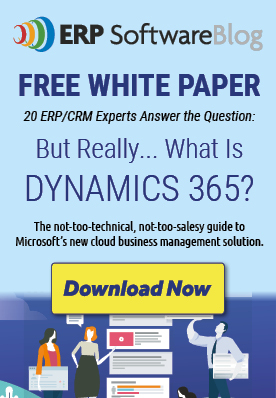 For more information, contact one of the experienced and friendly Microsoft Dynamics experts at Rimrock Corporation.